CANSCAIP is delighted to once again offer our illustrator Members and Friends an opportunity to be part of an exhibit of children’s book art at the gallery of the Canadian Contemporary School of Art in Toronto from May 16 to 31, 2019. The Canadian Contemporary School of Art is in midtown Toronto at 109 Vanderhoof Avenue (Eglinton Avenue East and Brentcliffe Road). The School opened about two years ago, and offers art classes for kids that include drawing, painting, sculpting, textile printing, fashion design, cartooning, and art-based math. Members and Friends are invited to electronically submit up to two pieces of art for consideration. 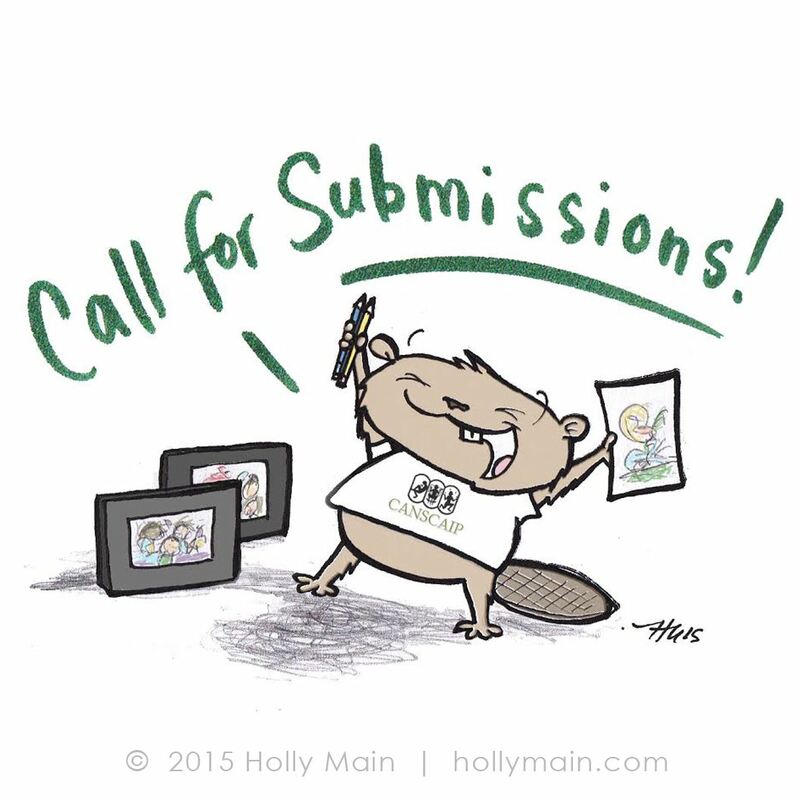 Deadline for submissions is Tues Apr 30 (and earlier would be much appreciated!). If you were in the 2018 art show, please submit different artwork than last year. One work from each artist will be in the show. You can send two different images and one will be selected for the show. When your submissions are received, you will be informed which work has been selected for the show. CANSCAIP will arrange for a label to be produced for each artwork in the show. CANSCAIP has insured the exhibiting of the art in the show. The art show will be be in the gallery at the Canadian Contemporary School of Art from May 16 to 31, open to the public and to students on weekdays from 10:00am to 7:30pm and on Saturdays from 9:00am to 12:00pm. A wine and cheese reception will be held at the Canadian Contemporary School of Art on Thurs. May 16 from 7:00 to 9:00 pm. CANSCAIPers, publishers, editors, art directors and others in the children’s book community will be invited. Please save the date and plan to join us. Bring your families and friends! Original artwork must be matted with backing, in a clear protective sleeve, with picture wire on the back for hanging. Original artwork can also in a frame with picture wire on the back for hanging. Illustrators cover the costs of matting or framing their artwork. Matted or framed artwork can be mailed or delivered in person to arrive at CANSCAIP (720 Bathurst, Suite 503, Toronto M5S 2R4) before or by Mon. May 13. If you’re bringing artwork to CANSCAIP, contact administrative director Helena Aalto at office@canscaip.org to arrange a delivery date and time (Helena is in the office between 2:00 and 6:00). If you’re bringing artwork in person to the Canadian Contemporary School of Art, please bring it between Mon. May 13 to Wed. May 15 from 11:00am to 7:00pm. Illustrators cover the costs of transporting artwork to CANSCAIP or to the School. · Published CANSCAIPers are encouraged to include a copy of the book to be displayed with the artwork. · You are welcome to provide business cards, postcards or brochures to be displayed at the gallery. The show will be taken down on Fri. May 31 from 11:00am to 1:00pm. You can pick up your artwork from the school during that time. Remaining artwork will be taken to CANSCAIP’s office for you to pick up at another time. Promotion for the show will be handled jointly by CANSCAIP and the Canadian Contemporary School of Art. We encourage illustrators to promote the show on their websites and social media, and to family and friends.